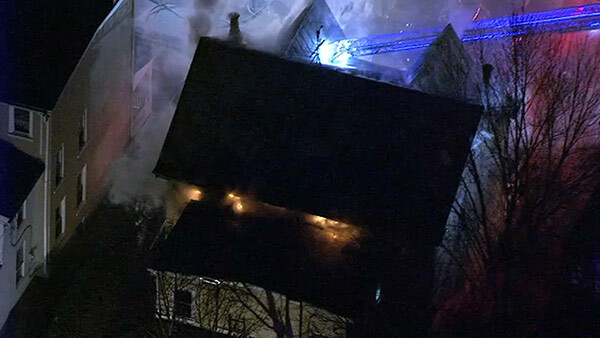 NORRISTOWN (WPVI) -- Fire crews battled a 2-alarm house blaze in Norristown Friday evening. The fire started after 5:30 p.m. in the 500 block of George Street. Heavy flames were showing from the second floor of a three-story house when crews arrived. Firefighters were able to get the blaze under control before 7:30 p.m. So far, there is no word on what sparked the blaze.